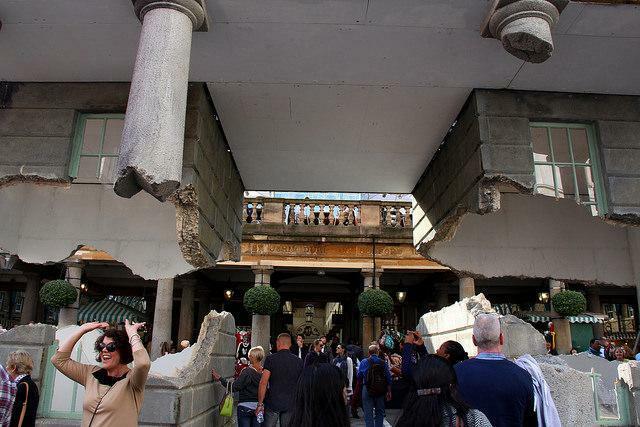 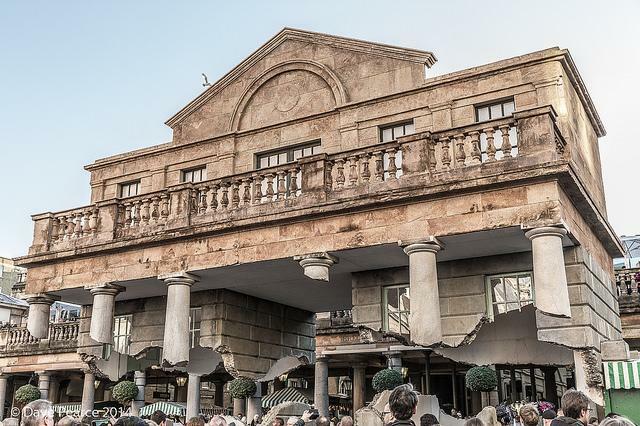 Artist Alex Chinneck — he of the upside down house in Southwark and the building with identically smashed windows in Hackney — created this spectacular illusion for the Covent Garden piazza in 2014. 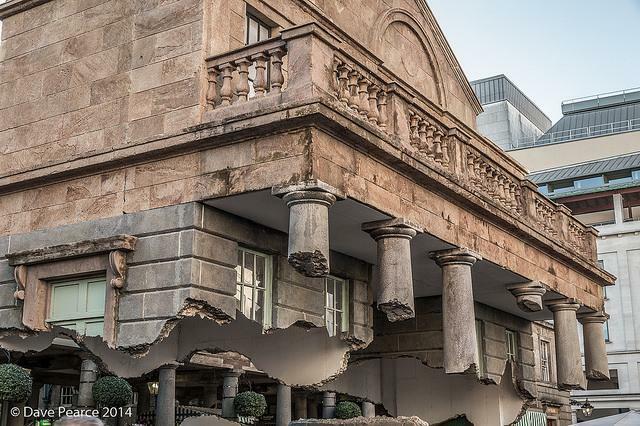 It was a mirror image of a building opposite, and looked like it was breaking free of its foundations and about to float off. 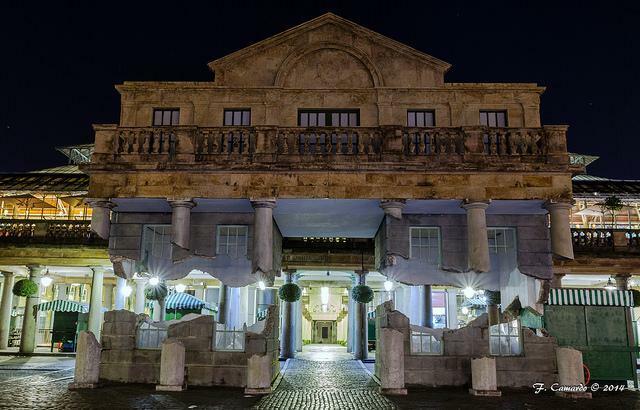 The BBC spoke to Alex about how it was done (spoiler: there's an armature hidden inside and a six tonne counterweight in that innocuous market stall).